It’s gratifying to come across an excellent piano concerto never heard before. In this case that of Poul Rovsing Olsen (1922-1982), who is so unknown, he doesn’t even have a Wikipedia entry. 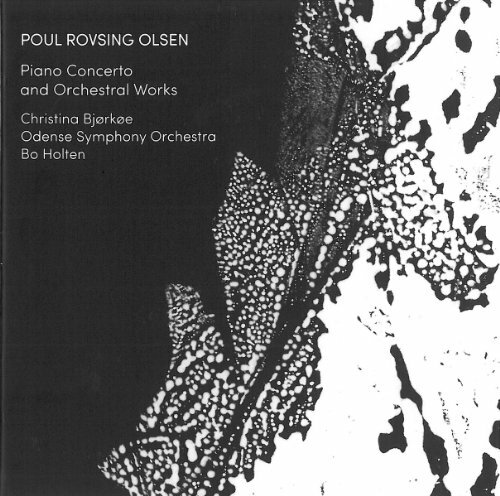 Audibly a student of Nadja Boulanger and Oliver Messiaen’, Olsen’s music is melodic, rhythmically taut, and catchy in a conservative 20th century way. Coupled with the Danish composer’s concerto come his Symphonic Variations and Au fond de la nuit for chamber orchestra. The ‘astral’ music of the latter followed 15 years after the 1953 Concerto and consists of fifteen minutes ‘deep-space Messiaen’. Soloist Christina Bjørkøe and conductor Bo Holten are Dacapo veterans, aided and abetted splendidly by the Odense Symphony Orchestra.